On Monday 26 January UCL Defend Education will be hosting this term’s first Left Forum meeting. 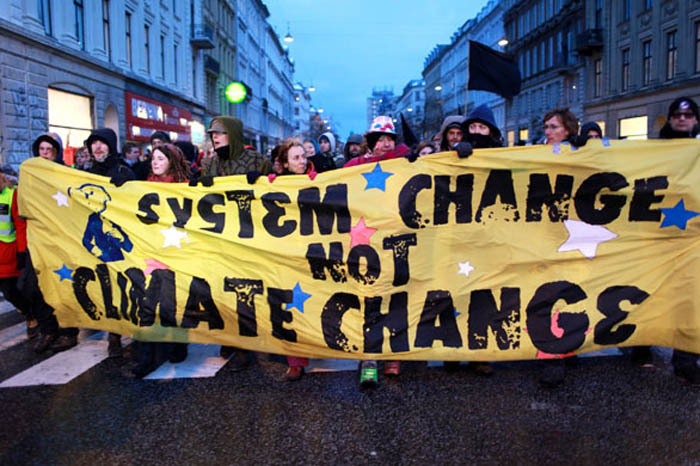 Discussing how class struggle can help us save the environment will be GUIN CARTER (UCL Fossil Free) and STUART JORDAN (Workers’ Climate Action) – and there will be plenty of time for open debate. Climate change is the greatest single threat facing humanity. What can we do to tackle it? The Fossil Free divestment campaign at UCL and in other institutions is gaining ground, but it is just the beginning – we know we’ll have to go much further to avert catastrophe. But what strategies and what forces within society are capable of forcing the immense changes we need? Are workers employed by environmentally destructive industries part of the problem, or are they actually the key to a solution? Can capitalism ever be made environmentally sustainable? We will discuss the links between environmentalist, class struggle and anticapitalist politics, and ask whether we can build a global movement out of examples such as the Vestas wind turbine factory occupation in 2009 and the “green bans” enforced by Australian builders in the 1970s. A photo from the Australian Green Bans trade union campaign in the 1970s. We will be meeting in Physics A1/3 and directions can be found here. Picture from a Fossil Free UK protest in Oxford.